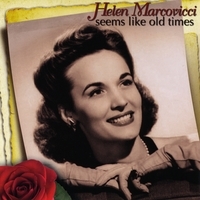 Before she was known as Andrea Marcovicci’s mother, Helen Marcovicci had a considerable nighclub career appearing at such boites as the Maisonette, The Glass Hat, and La Vie Parisienne under the name Helen Stuart. On this disc, the singer offers a collection of classic songs beautifully sung and beautifully thought. It is a particular delight to be re-acquainted with songs such as Seems Like Old Times, I’ma Fool to Want You, and For All We Know. And the always-wonderful Shelly Markham provides sturdy, nuanced music direction.